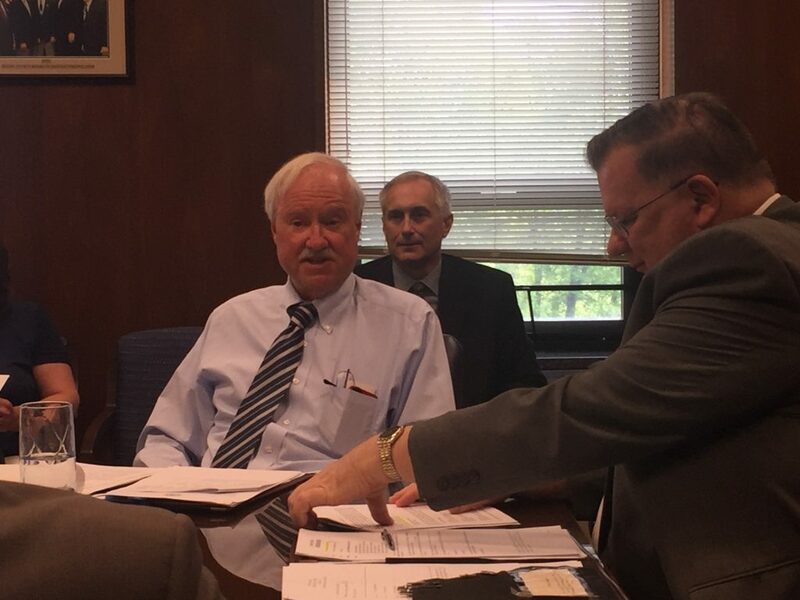 Ocean County Freeholder John C. Bartlett has successfully completed radiation and chemotherapy treatment for cancer and returned to the board at a work session meeting Wednesday. “I had very little side effects from either of them,” said Bartlett, whose treatment was handled by the Hospital of the University of Pennsylvania. Bartlett, who has not publicly disclosed the type of cancer with which he was diagnosed, said he will return to the freeholder board for eight weeks, at which point he’ll need to spend five days in the hospital for a surgical procedure. He’s taking the process with his usual sense of humor. “The last time I was in the hospital, I was five years old, having my tonsils out, and they were still using ether,” he said. “We’re thrilled to see how happy you are and how high your spirits are,” said Freeholder Director Jack Kelly, welcoming Bartlett to the meeting. Bartlett is, indeed, in high spirits and looking toward the future. “As far as the cancer goes, it’s highly treatable and that should be no problem at all,” he said.